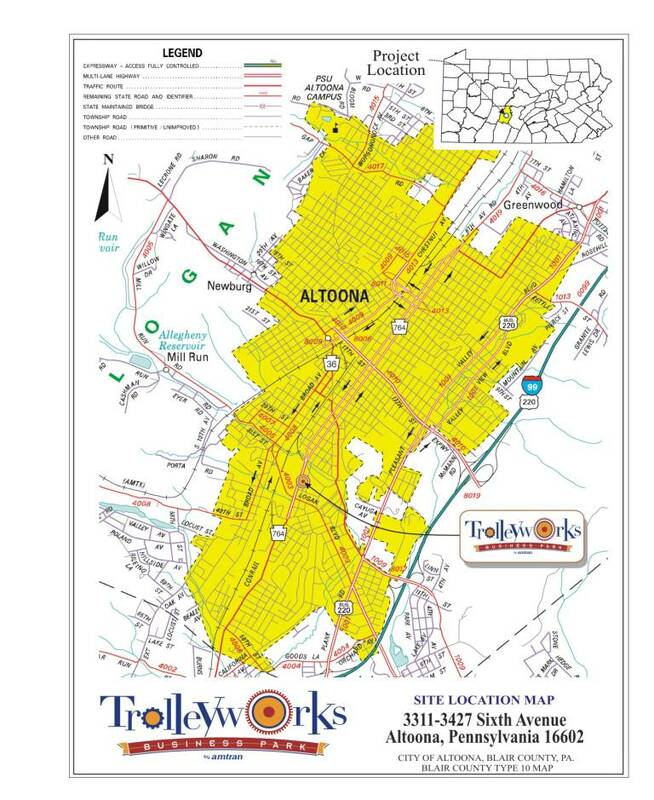 Phase II of the Trolleyworks Business Park will be the competitive selection of a private developer to design and build out the 2+ acres fronting 6th Avenue and 35th Street. Phase II development will be funded entirely by private sector investment, and the entire site will remain on the tax rolls. AMTRAN’s investment in that part of the property is limited to the real estate purchase, the environmental mitigation, and the demolition of the Roaring River Mills building and old foundations to clear the site for development. In exchange for that investment, the developer will pay AMTRAN a long-term land lease. Mountain Research and The EADS Group have completed an Act 2 Special Industrial Clearance through the Pennsylvania DEP so that the site can be re-developed. For more information on Phase II, a 1-page Project Description, a Locator Map, a Site Plan, an 18-page Marketing Study, and a Property Survey are available for download. For a copy of the RFP, please contact Eric Wolf, General Manager, at 814-944-4074.